The United States government on Thursday returned to Peru 14 pre-Columbian and colonial art pieces that had been stolen or looted, according to Radio Programas. “These pieces of art that have been recovered are part of our cultural legacy as a nation but, of course, they belong to all of humanity,” said Harold Forsyth, Peru’s ambassador to Washington D.C.
Dr. Andrea Heckman an expert on Quechua weavings, will show a documentary film at the South American Explorers Club in Cusco, Peru on Thursday June 10th at 7 p.m. The film tells the story of Quechua villagers near the sacred peak of Ausangate. Set against a backdrop of high Andean lakes and mountains, it shows a harsh existence but also a deep interconnectedness with the natural forces and their ritual relationships to the mountain, revealed in various festivals, weaving and other traditions. If you’re in Cusco, and want see the film, contact the SAE in Cusco. Every year on June 24 Cusco celebrates the festival of Inti Raymi at the Inca Fortress of Sacsayhuaman. 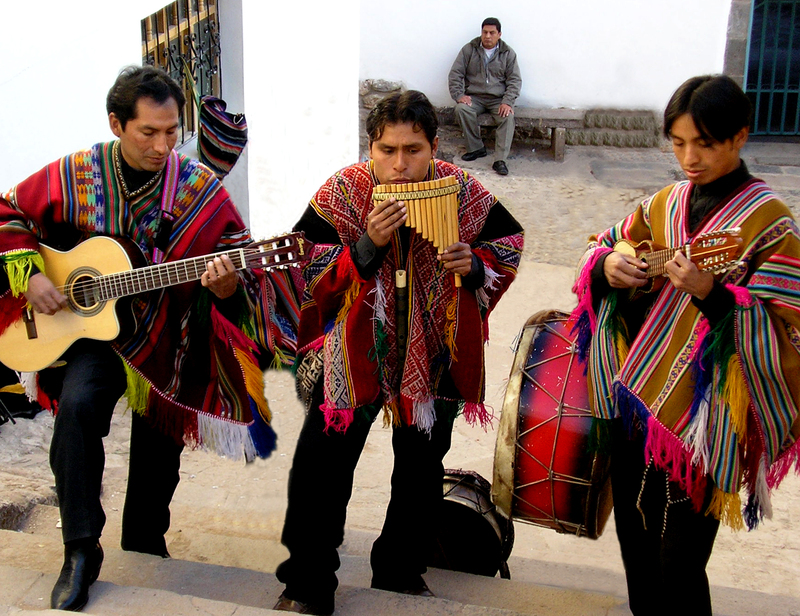 now the second largest festival in Latin America with an expected 200,000 people visiting Cusco. where young from come to throw, climb and balance, all the while, with elders looking on. The sense of pride and community at the Inti Raymi is palpable. festival is popular and deservedly so, not only for the sense of history of the Inca, and Quechua heritage, but to see teens competing, representing their communities, here at this historical place, Sacsayhuaman. 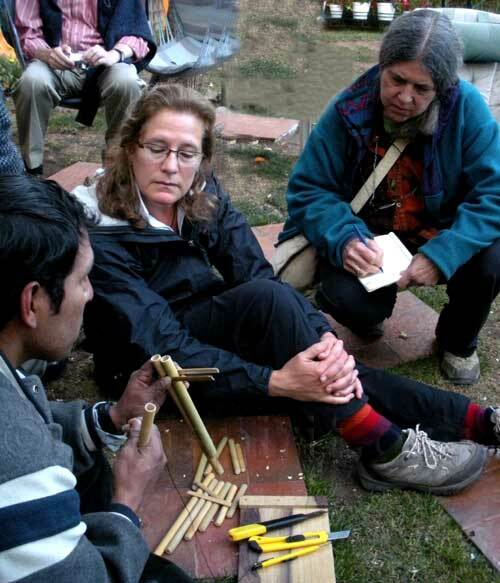 Mountain Spirit Institute has been running programs in Peru since the late 1990’s that focus on experientially learning and giving back to the people of the Andean villages we encounter. We pride ourselves in staying off the beaten path. See our website at www.mtnspirit.org for more information. MSI is a non-profit educational organization. Handwoven fabrics are the living history and cultural treasure of the Peruvian Highlands. The weavers who create these extraordinary textiles are the keepers of the culture and sustainers of a noble but difficult lifestyle in tune with the earth. This book, Weaving in the Peruvian Andes celebrates their authentic, well-crafted work by showing varied and distinctive styles of traditional clothing, the basics of how fabric is created from spinning to dyeing to weaving, the way traditional crafts are passed from one generation to another, the names and meaning of the myriad textile designs that reflect the culture and history of the people, and the rituals and celebrations in which woven fabrics play such an important role. Author Nilda Callañaupa Alverez is founder and director of the Center for Traditional Textiles of Cusco. She has established weaving associations through the Andean highlands to preserve a tradition of handmade textiles and to promote economic development. 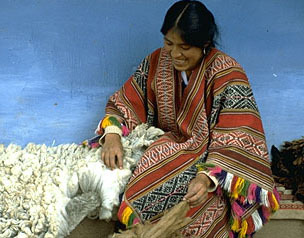 She lives in Cusco and in her native community of Chinchereo, Peru. All proceeds from the sale of the book benefit the Center of Traditional Textiles of Cusco. An article recently appeared in New Hampshire’s Kearsarge Magazine about Mountain Spirit Institute by writer Deb McKew. It can be read on our Press Clips Webpage, as an excerpt from the magazine. Click on the first listing at the top of the page. We encourage you to purchase this good read of a magazine if you’re in the New Hampshire, USA area. Publisher Laura Jean Whitcomb does a great job with the magazine. The article has a shot of MSI founder R. Richards doing a bit of ice climbing on a glacier in Mt. Aspiring National Park, and covered Mountain Spirit’s core mission of getting people connected “with themselves, each other and the environment”, where we “combine experiential wilderness programs with spiritual development”. The article informs readers of the educational programs and unique nature of MSI mission of getting people out of their native countries and into the mountains and cultures abroad. Being a non-profit organization, MSI strives to bring people of different backgrounds and countries together, to learn about new ways to work together, and to re-examine one’s role in the natural environment, and in the world community. On our recent Peru’09 Program participants had the opportunity to learn how to make Zampoñas and how to play them. Facilitator Guillermo Seminaro first helped participants adjust and shave down bamboo tubes, then put them together to make the Zampoña. 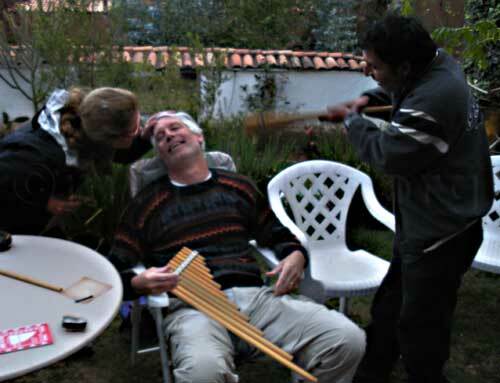 That day, (and for the rest of the trip) he taught them some traditional Peruvian folklore songs. All loved the experienced. S Smith really got into, not only the zampoña, but the charango as well. Here he is, at left, shown after the results of high altitude zampoña playing. Beginners have a hard enough time not getting dizzy at sea level. Here you can see the thin Cusco air, and the zampoña got the better of him. He recovered just fine, without incident. As you can see there’s a smile on his face.